Harsco’s BLACK BEAUTY® blasting abrasive has been number one in the industry for nearly 80 years. Our high quality, chemically inert, low free silica and low dusting BLACK BEAUTY abrasives are utilized in a wide range of applications. This includes the removal of surface coatings such as rust, paint, and scale, from a variety of substrates, especially structural steel and concrete. Imitation maybe the sincerest form of flattery, but there is only one original BLACK BEAUTY abrasive. “High free silica” products have been found to increase the risk of silicosis. 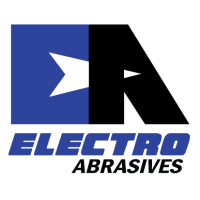 BLACK BEAUTY abrasives are classified as a “low free silica” abrasive and can be used when “low free silica” abrasives are specified. Used for general purpose repair and maintenance blasting including removal of paint, rust, mill scale, and other coatings from surfaces. Minimum suggested nozzle size of 1/4″ and under standard blasting conditions will achieve a 3.0-4.8 Mil profile. Utilized for new construction, light paint and rust removal and special maintenance applications requiring reduced profiles. Minimum suggested nozzle size of 3/16” and under standard blasting conditions will achieve a 2.0-3.8 Mil profile. Applicable for light blasting requiring a clean surface and minimum anchor profile including brush-off blast or high-pressure water blast systems. Minimum suggested nozzle size of 1/8” and under standard blasting conditions will achieve a 1.0-2.6 Mil profile. For more information, please visit the Black Beauty Abrasives website. Peen to more intense levels. Peen to deeper zones in surface. Yield more impacts per pound. Peen to less intense levels. Peen outer zones of surfaces. Reach into keyways, fillets, and small areas. Made entirely of synthetic olivine, JETMAG® blasting sands (by OLIMAG Sands Inc.) are non-toxic and are not listed as a hazardous material under the WMHIS. The use of JETMAG generates little dust, is safe for the user and its work place, and is environment friendly. They holds no heavy metalsand no toxic elements. They can be recycled and re-used 3 – 4 times. For more information, please visit the OLIMAG Sands / JETMAG website. Biasill™ sand is a slightly finer grade of staurolite sand than coarser Starblast blasting abrasives and is CARB-certified. Biasill is the product of choice for low free-silica air sandblasting. It cleans faster and more safely and efficiently than silica sand. It is most useful where mill scale and light rust are to be removed and in applications where a shallow profile is desired. Its fine grade enables Biasill to be used on softer substrates, such as aluminum, composites, fiberglass, and similar materials Foundries use Biasil sand in the molding process because of its low coefficient of thermal expansion and high thermal conductivity reduce casting defects and yield improved metal surfaces. When used in molding, the low coefficient of thermal expansion and high thermal conductivity of Biasill reduce casting defects and yield improved metal surfaces. Its AFS grain fineness (66-75) makes it suitable for most foundry mold applications that involve aluminum, magnesium, brass, bronze, and certain ferrous metals (in specialized applications only). Starblast blasting abrasives are a loose blend of uniformly sized coarse and fine staurolite sands that have clean, rounded surfaces. There are three grades: Starblast, Starblast XL, and Starblast Ultra. All Starblast blasting abrasives are available in 22.7-kg (50-lb) multiwall paper bags, 4,000-lb bulk bags, and in bulk carloads and truckloads. For more information, please visit the Chemours / Starblast website. BTUS is a brown aluminum oxide obtained from the reduction of high quality bauxite in an electric arc furnace. APPLICATIONS: Due to its high toughness, BTUS is recommended for use in bonded abrasives (grinding wheels, cutoff wheels, points, etc…), coated abrasives (paper & cloth), blasting abrasives, as well as refractory applications. ELECTROCARB Black Silicon Carbide (SiC) is an extremely hard (Mohs 9.1 / 2550 Knoop) man made mineral that possesses high thermal conductivity and high strength at elevated temperatures (at 1000°C, SiC is 7.5 times stronger than Al2O3 ). SiC has a modulus of elasticity of 410 GPa, with no decrease in strength up to 1600°C, and it does not melt at normal pressures but instead dissociates at 2600°C. ELECTROCARB Black Silicon Carbide contains some free silicon (Si) and carbon (C) and is not as pure as green SiC. It is ideal for a wide variety of applications including vitrified and resinoid grinding wheels, friction, blasting, compounds, lapping, polishing, non-slip, wiresawing silicon & quartz, and many more.